For running fans, Friday was like the first two days of March Madness. It was the regional meets, which chose the 31 teams and 38 other individuals who will compete at the NCAA Cross Country Championships. Nine meets all held in the space of a little over three hours, with favorites getting through and some upsets and the thrill of victory and the agony of defeat and everything else that every college sports fan loves about college sports. If you were like me, you didn’t get a lot of work done on Friday between noon and 3:00. In some ways it was just a qualifying round, a teaser while we wait for Saturday’s NCAA Championships in Terre Haute, Indiana. (Yours truly will be there to cover it for this space.) But there was still a lot going on and some tremendous action. We start in Ogden, Utah, the site of the Mountain Regional. The Mountain region men’s race included BYU’s Jared Ward, the most famous runner in the country right now (**Andy Warhol 15 minutes version of fame). A weird technicality in NCAA rules was going to cost him an entire year of eligibility for jumping into a fun run four years ago until the silliness of the interpretation was brought to light by the press. Heaps of negative attention on the NCAA got the situation fixed in one week (BYU’s administrators tried and failed for three years) and he was ruled eligible barely 24 hours before Friday’s race. He’s just a month removed from an impressive run at the Chicago Marathon and had no thought of cross country until the middle of last week. Would he be race-sharp? If so, would his presence give his Cougars the firepower to contend for a national title? The answer to the first turned out to be yes, as Ward finished fourth in a very deep race, just 22 seconds behind defending NCAA champion Kennedy Kithuka. The answer to the second appeared to be no, as BYU finished fourth. Without Ward’s outstanding run, BYU would have finished sixth and been on the verge of not getting an at-large bid to the nationals. At first glance it looks like the Cougars aren’t contenders–but that’s only at first glance. Look deeper and you’ll see that BYU rested their 4th, 5th, 6th and 7th runners. Coach Ed Eyestone knew his team was going to qualify to the NCAAs regardless of what happened at the regional meet, and it looks like he’s saving up to go all in for Saturday. So who won in the matchup between #1 Colorado and #2 Northern Arizona? In a close finish, the Lumberjacks won their second straight Mountain regional title. #1 takes a tumble! Down goes Colorado! Northern Arizona wins and is now the favorite to win the NCAA championship! Or are they? There are two ways to look at the regional meet: it has inherent meaning, or it doesn’t. I suppose that’s a gross oversimplification, so let me explain. The “it doesn’t matter” side of things looks at the regional meet as a qualifying round and nothing more. The goal in a semifinal (and regionals are like semifinals) is to get to the final, and anything more than that is wasted effort. Lumberjack coach Eric Heins is solidly in this camp, saying “The best thing about today is that we didn’t have to run as hard which will help us at nationals…it was great to come out on top but our focus is on next week”. The “it matters” side of things looks at the regional meet as a qualifying round–and notes that semifinals often tell you a lot about what will happen in the final. For example, the Olympic and World Championships gold medalists in the 100 meters virtually always win their semifinal. The same goes for the hurdles and longer sprints, and distance gold medalists who don’t win their semifinal are usually in a position to do so but choose not to. Champions have to be firing on all cylinders and they tend to show it in qualifying rounds. In terms of college cross country, which view is correct? Looking at historical data, it appears to be the second. In the last fifteen years, only one NCAA men’s champion team failed to win its regional meet. That team, Oklahoma State in 2010, clearly chose not to win the Midwest regional, resting their 1st and 5th runners. The Cowboys went on to win the NCAAs by 120 points, the second fourth-largest margin of victory in meet history. For this year and this meet, I’d throw the historical precedent out the window because this situation is different. This weekend was the first time in the (known) history of the coaches’ poll that a single region matched up the #1 and #2 teams. The men’s NCAA champion and runner-up teams have never come from the same region, but this time around we have three legitimate contenders all coming from one region: Northern Arizona, Colorado, and BYU. The women’s race was a bit of an upset as well. #10 Colorado ran a fantastic race and handily beat #8 New Mexico. The Buffaloes had five runners across the finish line before any other team had three, and steeplechase Olympian Shalaya Kipp had her first really good race of the year. She finished just two seconds behind winner Sammy Silva of New Mexico. The Buffs would have to be considered an extreme long shot to win next week but they might be able to challenge for a top four finish. The big news out of this part of the country two weeks ago was the end of Wisconsin’s fourteen-year-long reign as Big Ten men’s champions. The Badgers still had another streak going, eleven straight Great Lakes regional titles, and you can bet they weren’t going to give that up without a massive fight. They fought the good fight, but sometimes things are beyond your own control. Malachy Schrobilgen, the Big Ten individual champion, lost a shoe with 4 km to go and finished ninth, and that turned out to be enough. Michigan won by three points over Wisconsin, with Notre Dame one point back in third and Big Ten champions Indiana another point back in fourth. Michigan’s women also won the team title for a Wolverine sweep, beating back their rivals and Big Ten champions, Michigan State. The individual titles went to athletes repping the mid-majors: Indiana State’s John Mascari, the Missouri Valley champion, and Ohio U’s Juli Accurso, the Mid-American champion. The women’s race also showed how close finishes can be cruel. The Toledo Rockets finished eighth, just six points out of seventh, and that proved fatal to their NCAA Championships hopes. “We don’t know officially yet but it seems like we missed out on a NCAA bid by one place,” first year head coach Linh Nguyen said. “I think with our wins from earlier in the season, we would have gotten in with 7th place.” Split scoring at 4 kilometers showed the Rockets in sixth at that point (and it should be noted that split scoring is not 100% reliable) but they finished eighth and out in the cold. The big women’s upset in regional competition was at the Mid-Atlantic region, where an unranked Villanova squad surprised #3 Georgetown by a narrow score of 31 to 35. How did the team that was only fourth at the Big East Championships turn it around? One difference was that they had their full squad. Angel Piccirillo, the Wildcats’ #3 runner, finished fourth at the regional meet but didn’t run at the conference championships. Her performance was huge. But the rest of the team stepped it up in a big way as well. Villanova might not have made it to the NCAAs on an at-large bid, so it literally was a case of “go big or go home”. The Providence Friars started the season as the #1-ranked women’s team in the NCAA, but dropped off the lead when it became apparent that their fifth runner was far too weak for the team to compete for the national title. But then at the Big East Championships coach Ray Treacy brought Grace Thek off the shelf, a runner who’d missed nearly an entire year of racing. She ran well enough that the Friars easily beat #3 Georgetown for the title. So how did she do here? Even better. She was 20th and gave the team a 1-to5 gap of just 51 seconds, nearly half of what it had been earlier in the season. Other top teams have smaller gaps–but none have studs like Emily Sisson and Sarah Collins, who should be right at the front of the race at the NCAA Championships. Abbey D’Agostino won the individual title, to no one’s surprise, and her Big Green teammates got an automatic nationals qualifier with a second-place finish. Harvard’s Maksim Korolev won the men’s race, his third consecutive outstanding effort, and the rest of his team squeaked into the NCAA Championships with the very last qualifying spot. Two shockers took place in this region. The men’s race saw #17 Eastern Kentucky win as expected, with Virginia second. The surprise was in North Carolina State in third and qualifying to the NCAA Championships on a “push”. The Wolfpack ran a terrible eighth place at the ACC Championships, (and hadn’t run well all year long) but somehow put it together here and beat ACC runner-up North Carolina. Of all the men’s teams going to the NCAAs, NC State may be the biggest surprise. The women’s surprise was Duke. Highly ranked early in the season and even touted as a national title contender, the Blue Devils totally fell apart in the second half of the race, finished sixth, and did not qualify for the NCAA Championships. It was the season in a nutshell. #11 Virginia took the win over #19 William & Mary, who supplied the individual champion in Emily Stites. Oklahoma State started off the year as the overwhelming favorites to repeat as NCAA men’s champions. A convincing win over Northern Arizona in September’s Cowboy Jamboree did nothing to change that, but some midseason struggles with depth dropped them to third in the polls and the role of underdogs. The Midwest regional quelled fears…sort of. The biggest problem the Cowboys had faced over the last month was the underperformance of Joseph Manilafasha. An All-American at last year’s NCAAs, he’d run some truly crappy races at the Pre-Nationals and Big 12 Championships. Here he looked better, but still not quite like what the team will need. The team ran a packed-up tempo run and swept places 7 through 11 for an easy win. One of the earliest meets held on Friday had one of the bigger surprises. #3 Arkansas won the women’s race, which was no surprise at all, but the second qualifying spot was one of those “We’re going to Disneyland!” moments (provided that Terre Haute is your Disneyland). SMU tied Texas A&M for second, which meant it all came down to the sixth runner. No, wait, it doesn’t. This is the NCAA after all, and all of their rules are needlessly complex. NCAA rules break ties by matching up #1 runner vs #1 runner, #2 runner vs #2 runner, and so on down to #5 runners. SMU won three of the five matchups and is going to Terre Haute. It was so close that if A&M’s Amanda Jenkins had run just 0.45 seconds faster, then the Aggies would have won the tiebreaker. The Mustangs won the first-ever American Athletic Conference Championships two weeks ago, but nothing before that suggested they would be an NCAA qualifier. They were just 8th at the Notre Dame Invitational and 18th at Pre-Nationals. These kinds of upsets are what college sports are all about. In the men’s race, #9 Arkansas and #25 Texas were three points apart (34 to 37) and 73 points ahead of the rest of the competition. There are no ranked men’s teams in the South region, which meant that teams like Georgia and Florida had nothing to lose by putting out their best effort. After all, it was the only big meet that either had a chance to win this year. Georgia pulled out the win by a single point over Florida, gaining redemption after their third-place finish at the SEC Championships behind the Gators. The #5-ranked Florida State Seminoles had their way with the field, winning by 81 points. In the men’s race, #6 Stanford beat #4 Oregon. As with most highly-ranked teams, neither went at full effort–Oregon’s Parker Stinson and Mac Fleet explicitly said so–but Duck freshman Edward Cheserek apparently didn’t get the memo. He put together a great race and won by eight seconds, his second straight victory and third on the season. The women’s race saw #1-ranked Arizona take the victory by ten points over #18 Stanford. The Wildcats’ weakness is depth and it showed here. Their first four runners ran conservatively and came through in a tight pack and then there was a big gap. While the lead four were separated by just 15 seconds, it was another 45 before the fifth came in. This could be a problem at next week’s national championships. Boise State’s Emma Bates continued her excellent season with another win (her only loss this year was to high schooler Alexa Ephraimson at the Bill Dellinger Invitational). Back in seventh was Cal Poly’s Laura Hollander, looking little like last year’s freshman star who finished ninth at the NCAAs. 2013 hasn’t been kind to Hollander, who failed to finish the track season due to injury and has run just three races this fall. Early on Friday morning the news came through via Twitter: 17-year-old superstar runner Mary Cain has signed a professional contract with Nike and PACE Sports Management (the agency of Usain Bolt and Mo Farah). This means she will not compete in the NCAA. This was hardly surprising. 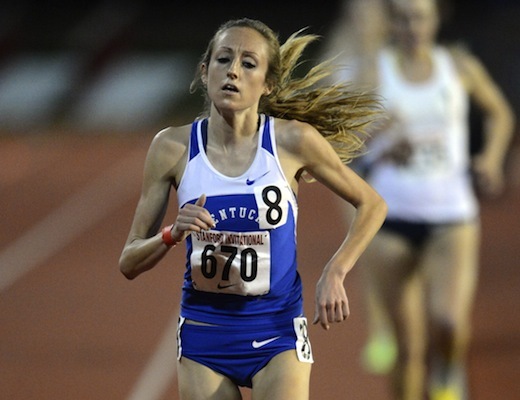 She is already far better than collegiate competition, enough that she would only have been given a push in her “off” events–800, 5000, cross country–and even in the 800 she’s already faster than all but three collegians have ever been. What few of us there are who follow distance running spent much of the summer arguing about whether or not Cain should skip collegiate competition. I thought the advantages of running in the NCAA were in being part of a college team while others cited the heavy racing schedule as a disadvantage (which, by the way, didn’t seem a disadvantage to me given her prolific 2013 racing). The team thing is a big part of the running experience for everyone at every level, and remember that she missed out on being part of her high school team this year. I could have imagined a situation where she ran one or two seasons of cross country (which is not her strength) and maybe one season of track before she turned pro. In any case, Cain and her family made their own decision in their own way and at their own pace. They had apparently given serious though to college competition and scouted universities who would allow her to maintain her coaching relationship with Alberto Salazar, and none of their decisions appear to be motivated by cashing out. This smart parenting is probably the biggest reason why she has done so well; she is allowed to be her own person and develop at her own pace, but without the pressures of being an adult. And she will be a big star in two upcoming international championships to be held in Oregon, the 2014 World Junior Championships and 2016 World Indoor Championships. Just a few hours after Cain’s announcement came another big one. Portland will host the 2016 World Indoor Championships. At first glance, this will have nothing to do with college track. It’s a pro event which will likely have few if any collegians entered (the meet is tentatively set for the week after the NCAA Championships). But it could have a very big impact on college track in the years after 2016. The meet will be held at the Oregon Convention Center in downtown Portland and “a new 200-meter IAAF-certified track will be built and repurposed afterwards as a legacy of the event,” according to the Track Town USA FAQ sheet. The track itself is what will have a big impact on college track and field. These 200 meter indoor banked tracks are relatively rare and very expensive to build. As a result, they don’t go away once a venue ceases to hold indoor meets. Arkansas’ famously fast indoor track came from Toronto, where it was used for the 1993 World Indoor Championships. The track originally at the Hoosier Dome, used for the ’87 World Indoors and many NCAA Championships in the early 90s, is now at Indiana’s Gladstein Field House. The track used for many late-90s USATF Championships in Atlanta’s Georgia Dome was trucked all the way to Boise State, where it hosted the 2012 NCAA Indoor Championships. If these old tracks are still in high demand, then a brand-new state-of-the-art track is no small thing. Where will the track go after the World Indoor Championships? If Phil Knight and Nike are helping pay for it, you know exactly where it will go: the University of Oregon. The Ducks will have the indoor track they’ve long coveted. They’ll find a building for it somewhere, or construct one. And it will get heavy use for all kinds of meets–college, pro, high school, age-group, you name it. There will be even more NCAA championship meets in Eugene than there are now, and some will be in March. I really am just excited to join my teammates. The university and my coaches and teammates have been behind this all the way and so supportive. I don’t feel like I missed out on anything, I only feel like I’ve just recently got something back. I didn’t know [Big Ten individual champion Malachy Schrobilgen] lost his shoe…I don’t look down at their feet, I just look at their faces. Somewhere around 6K somebody shouted Malachy lost his shoe, and I’m, ‘So what?’ He’s going to keep running, he isn’t going to stop just because he lost his shoe. Yeah, sure, you want to win, I guess…this meet doesn’t matter at all. Between the MAC Championships and Regionals, we were a combined 9 points from a very different season. Since 1986, only 12 different teams have been NCAA men’s champions or runners-up. Those teams have been coached by only 13 different coaches. Mick Byrne was at two different universities that finished first or second (Iona and Wisconsin) and Vin Lananna was at three (Dartmouth, Stanford and Oregon). Five pieces on college track and field from the last seven days that are more than worth your time. 1. Kennedy Kithuka, Texas Tech. Still undefeated in his NCAA cross country career. 2. Kemoy Campbell, Arkansas. Has lost a couple to teammate Stanley Kebenei when they were finishing together, otherwise he’s only lost to Kithuka and it was kind of close. 3. Anthony Rotich, UTEP. His only two losses this year were to Kithuka, at Pre-Nats and the Mountain regional. 4. Paul Chelimo, UNC-Greensboro. Undefeated on the season (he won the B-race at Pre-Nats) but hasn’t been truly tested. 5. Maksim Korolev, Harvard. The biggest surprise of the season ran another great race to win the Northeast regional. 6. Chris O’Hare, Tulsa. 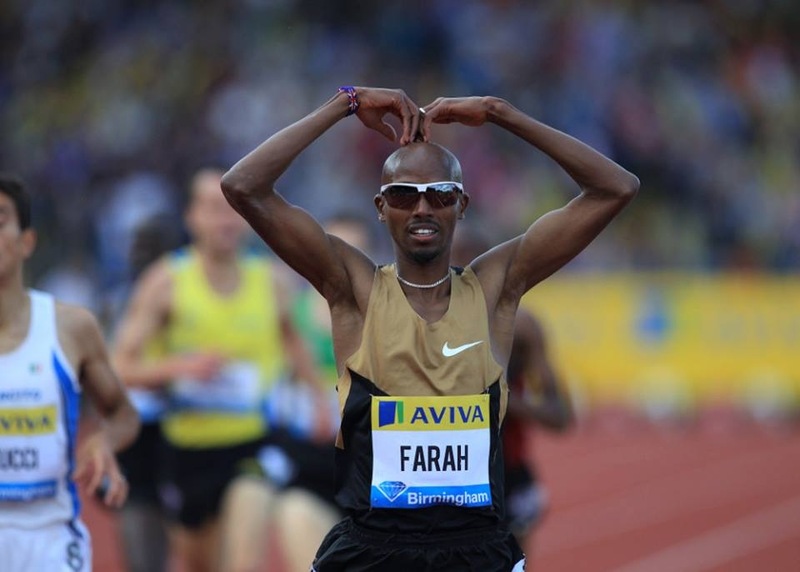 The World Championships 1500 finalist is getting better with every race. 7. Edward Cheserek, Oregon. Won the Pac-12 and West regional and looked very good in both, but I don’t think the competition was as tough as is the norm at those two meets. 8. Andrew Colley, NC State. “Solid” defines his season so far, with an ACC win, runner-up at the Southeast regional (to Chelimo) and third at the Adidas Invitational (behind Campbell and Korolev). 9. Jared Ward, BYU. 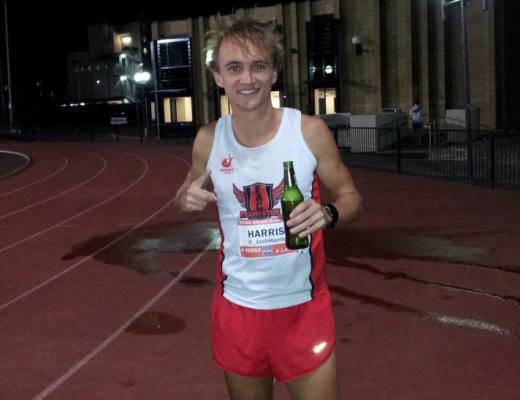 One race under his belt, a month after the Chicago Marathon, with only a day’s notice that he was even going to race, and he got fourth in the toughest region in the whole country. He is a big question mark with a lot of upside. 10. Patrick Tiernan, Villanova. Riding a two-meet win streak, the Big East and Northeast regional. 1. Abbey D’Agostino, Dartmouth. Her only loss to a collegian in the last two years was last year’s NCAA cross country championships. 2. Emily Sisson, Providence. Just two losses this year, both to D’Agostino. 3. Emma Bates, Boise State. Just one loss this year, to high schooler Alexa Efraimson. 4. Marielle Hall, Texas. The South Central regional was her second straight win. 5. Aisling Cuffe, Stanford. The Pac-12 champ took third at the West regional. 6. Shelby Houlihan, Arizona State. Beat Cuffe at the West regional. 7. Emily Lipari, Villanova. The Mid-Atlantic regional champ has made a college career out of coming up big when her team needs her the most. 8. Sarah Collins, Providence. By far the best #2 runner in the NCAA. 9. Juliet Bottorf, Duke. Inconsistent, but the ACC champ is very good when she’s on. 10. Colleen Quigley, Florida State. The South regional champ leads a dangerous underdog team. Actually the fourth largest winning margin after ’03, ’99 and ’93. I breathed a sigh of relief when Mary Cain signed with the Oregon Project. Danger avoided. As Lydiard said (I paraphrase), the U.S. college system has a way of turning phenomenally talented runners into under-achieving second-placers. 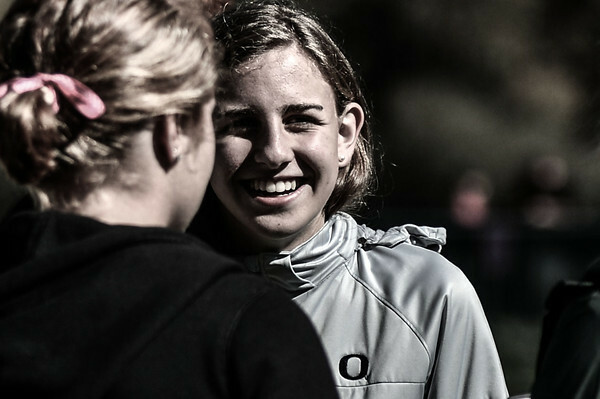 First example: Jordan Hasay, whose horribly mismanaged coaching at Oregon tells the story. Lydiard’s view is confirmed by Cam Levins’s career at Southern Utah, where he was encouraged to train and schedule his season like a pro, on a year-long cycle. Also Galen Rupp, who probably could have advanced faster in college but did escape the worst of the three-season college grinder, under Alberto’s sharp-eyed guidance. Devil’s advocate: the NCAA D-I experience didn’t seem to hurt Bernard Lagat, Matthew Centrowitz, Leo Manzano, Jenny Simpson, Brenda Martinez, Shalane Flanagan, or Alysia Montano. Conceded. But my question is why it hurt others, Jordan Hasay being one example. There’s a very common syndrome where one kind of training will work very differently for two very different athletes. Again, an example is Pre and Kenny Moore. Bill Bowerman was wise enough to give them very different training – Moore ran (very) hard just once every two weeks; Pre could train hard more often. Bowerman, according to Moore, checked his runners carefully every day. If they were hang-dog, dull-eyed, with racing pulse, he would send them to the showers. Why did only Rosa and Cuffe do well at nationals? While everyone else bombed pitifully. I’m not sure schools like Oregon pay that close attention anymore. I’m suspicious of Track Town, where results are everything, and if someone like Hasay doesn’t fulfill the fan’s lust for spectacle and sensation, we’ll just quietly ignore her and turn our hungry eyes to Centro or Galen. This seemed to happen to Hasay after Lananna no longer had much of a hand in the Oregon runners’ training. At Stanford, Lananna’s runners did spectacularly well, and my naive and ill-informed suspicion is that they were no more talented than they are now. I wish we knew more. I have a hypothesis that when athlete’s don’t thrive, it’s usually because someone violated the rigid law that what’s good for the individual runner is best for the team, and what’s best for the runner is expansive training that takes care of individual needs. And when it doesn’t happen, it seems fairly straightforward to find out why. If you’re paying attention as Bowerman did. About a year ago I read an NCAA XC pre-season writeup at LetsRun.com that talked about how only freshmen runners tend to show large improvements from one year to the next. Besides that, the analysis was that what place you finished as a sophomore is pretty much what place you finished as a junior and senior. There are exceptions, of course. But the general analysis was that most runners don’t improve much after their freshman year. I look at the fact that only 13 coaches have led the first- and second-place men’s teams at the NCAA Championships over the last 27 years, and I see a small number of coaches who make continued improvement the #1 priority. It’s how Colorado won its championship this year and it’s how Wisconsin managed its 18th-straight top ten finish. 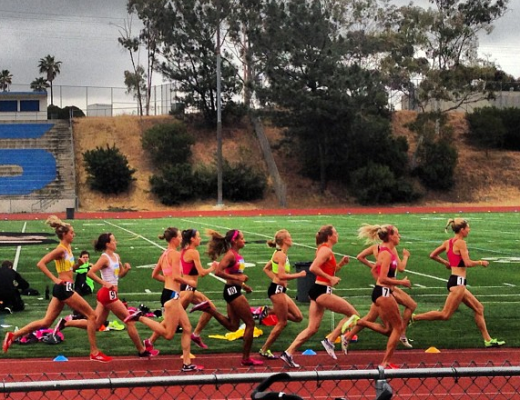 Now, you can come up with a lot of reasons why some teams’s runners improve and some don’t. I’m not even sure that all of those 13 coaches have much in common in terms of how they train their athletes. Some of those teams take track seriously and some don’t, and some try to have a comprehensive track program and some don’t. But it does seem that an athlete-centered approach is the common denominator. The other thing is that it’s a lot easier to improve a lot if you weren’t a national high school champion. For all the concerns that Hasay didn’t live up to her talent in college, remember that she came closer to being an NCAA cross country champion than literally any other Foot Locker champion ever has. Jesse – wonderful insights. I was deeply impressed by the videos where Dr. Armando Siqueiros talks about how he coached Jordan Hasay in high school. Very inspiring – it was totally athlete-centered. See http://www.runnerspace.com/eprofile.php?do=videos&event_id=1051. At the time, I wondered if Dr. Siqueiros’s background as a physician helped him know what she needed, if he did such a good job because he understood how the body responds and could correctly read the signs of true recovery.